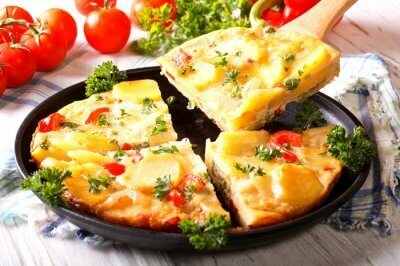 Chances are that you reach out to comfort food on days when stress gets to you. If we go by what the majority of locals of Hong Kong say, dim sums (literally meaning “a light touch on the heart”) undeniably fall into the realm of comfort food. A simple Google search will tell you what is universally known: you will find the world’s best dim sum places in Hong Kong. 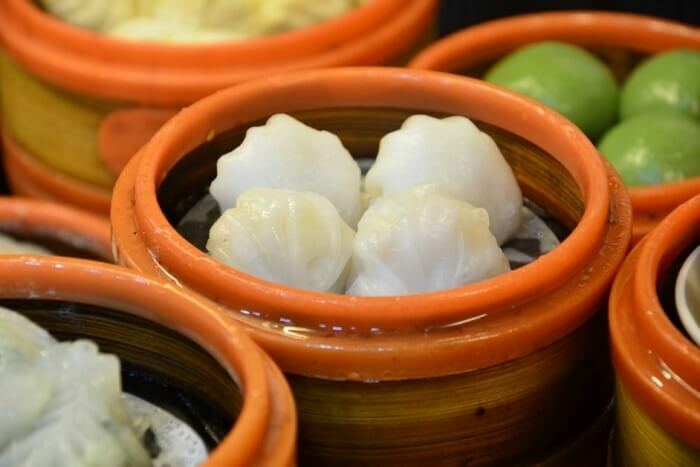 From shrimp dim sums to barbecued pork dim sums, we put in quite a bit of effort to get you the go-to list for the finest dim sums in Hong Kong. 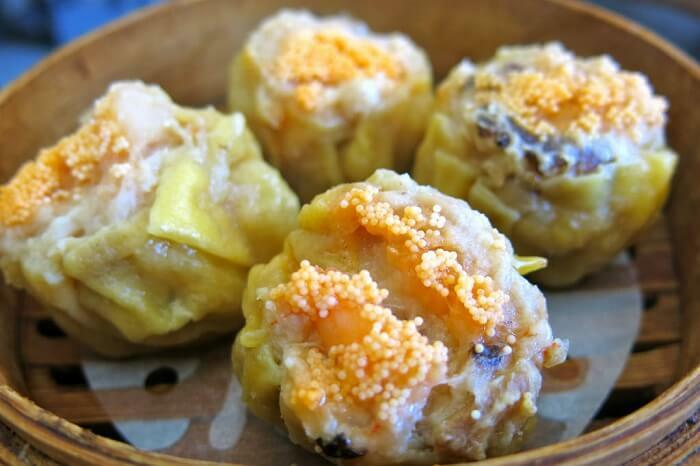 Among the best dim sum places in Hong Kong, Tim Ho Wan tops the list. 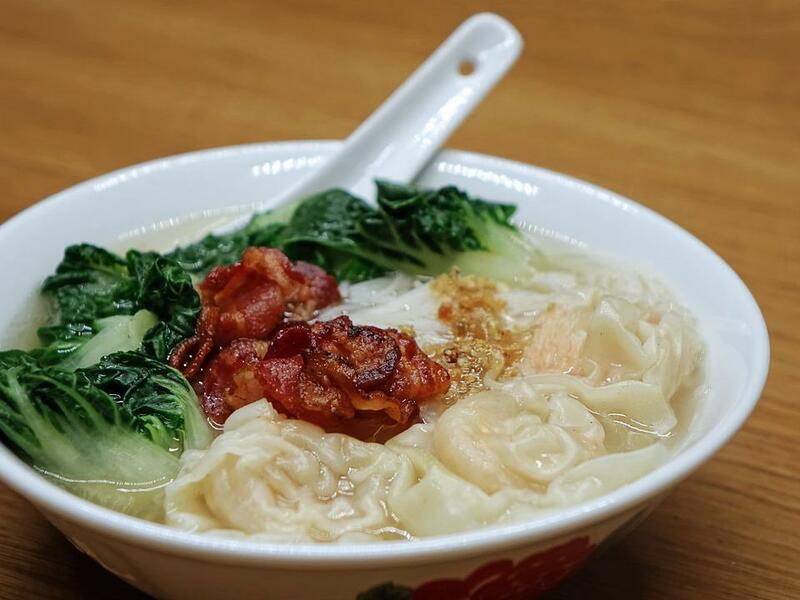 This restaurant is an year-long favourite of the locals and tourists alike not only because the food is of top-notch quality, but also because Tim Ho Wan is touted to be the cheapest Michelin-starred restaurant in the world. It comes as no surprise that the average waiting time to get a coveted seat in the restaurant is over 2 hours. But we assure you that the wait is worthwhile. For all those looking for cheap dim sums in Hong Kong after midnight, look no further than Sun Hing Chang. 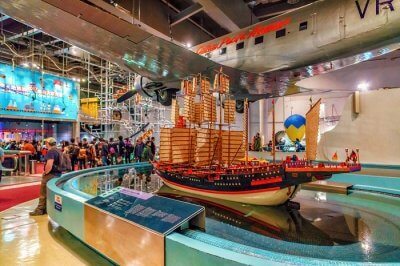 It opens at 3 AM everyday and attracts the most vibrant young crowd. There are no physical menus here; you’re expected to walk up to the table laden with an assortment of dim sums to see what’s on offer for the day. This restaurant is as rustic and and as communal as it can get. 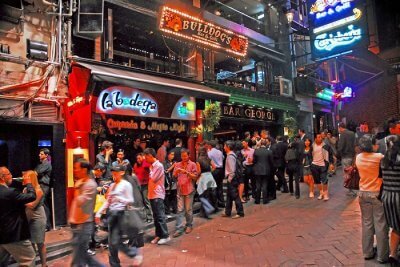 Must Read: A-Z List Of Best 26 Hong Kong Restaurants To Satiate The Cravings Of Forever Gastronomes! 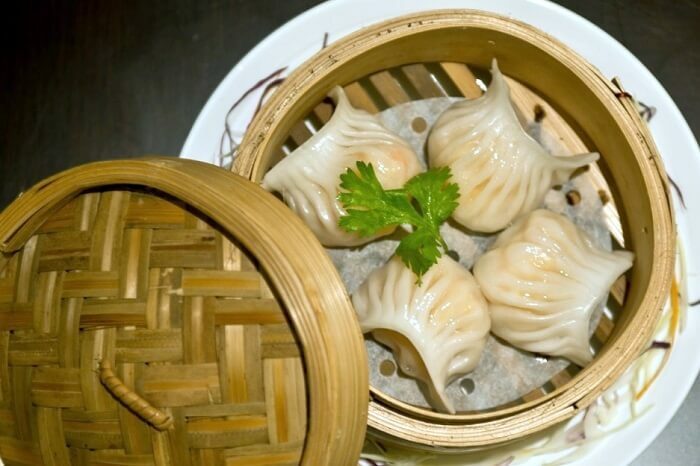 Maxim’s Palace’s elegant ambience matches the scrumptiousness of its dim sums. 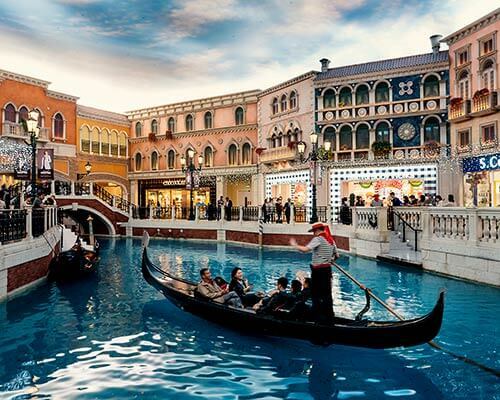 This restaurant is flooded by tourists who are seeking the local experience. Traditional dim sum meals have not been tampered with here. This place has successfully managed to retain the essence of the classic Cantonese dish. Duddell’s is one of the most stylish and modern dim sum restaurants in Hong Kong. This place boasts of an intimate garden terrace and beautifully adorned walls. The dishes are as elegant as the wall artwork. 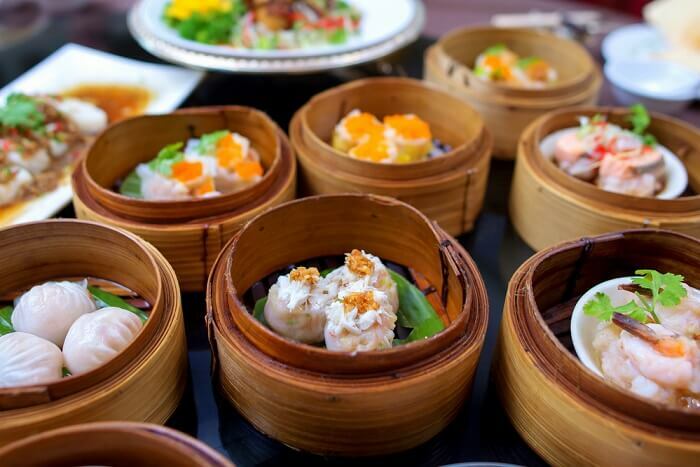 Every weekend the restaurant hosts Salon Brunch – where you can devour unlimited dim sums and wash it down with Veuve Clicquot champagne. It’s no surprise that Duddell’s is wildly popular amongst all age groups. Dim Sum Library is the go-to place for when you need to impress your date. The gourmet restaurant, which has been revamped recently, offers dim lighting and stylish interiors. 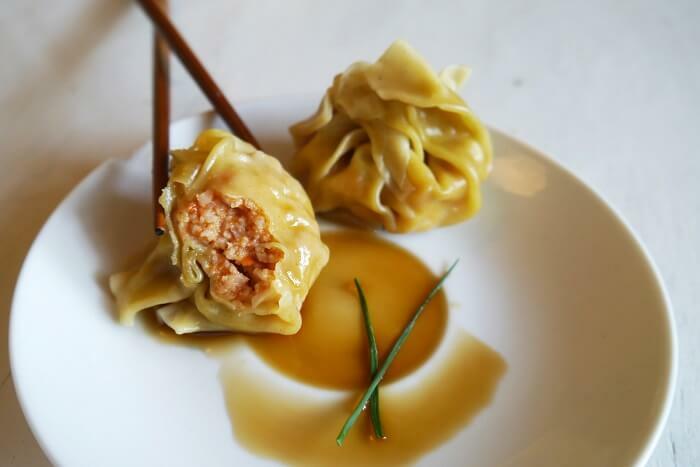 Their traditional versions and modern take on the dim sum dishes are the talk of the whole town. Not a single food item will disappoint you here. Panoramic views across Hong Kong’s spectacular skyline is an exquisite backdrop for your dining experience at Tin Lung Heen. Apart from its impeccable setting and impeccable service, the restaurant has perfected the art of making traditional Cantonese dishes down to the T. The dim sums are tastefully presented and well cooked. Excellent food with an unbeatable view, what more could you possibly want? Yan Toh Heen is recognised as one of the world’s finest Chinese restaurants specialising in Cantonese cuisine. Executive Chef Lau Yiu Fai, who has over 30 years of experience with the hotel, does a modern take of the dim sum dishes exceptionally well. 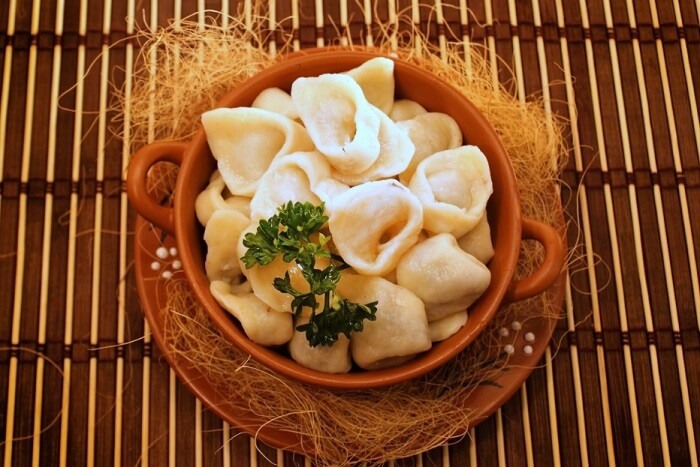 You’ll be tantalised by the burst of flavours in their food and the crunchy texture of their filled dumplings. Just a disclaimer, the food coma may go beyond your lunch time! Din Tai Fung is easily accessible from the main part of Causeway Bay, yet is far enough from the throngs of crowd, thus giving diners quite a pleasant dining environment. The staff is known to be attentive, the food arrives quick, and the prices are reasonable. 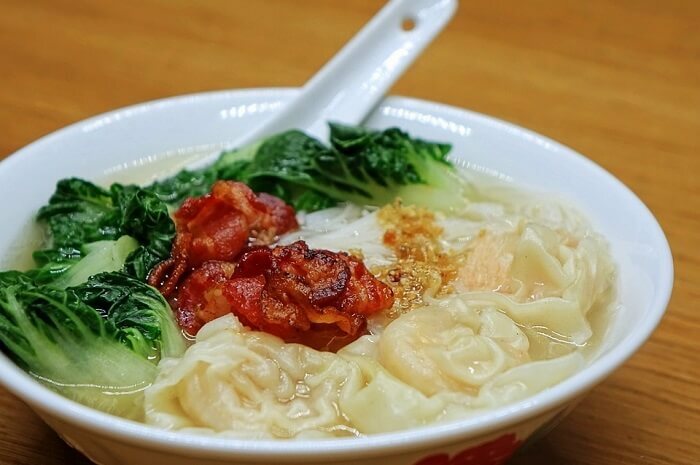 These reasons and more make Din Tai Fung one of the most reliable dim sum restaurants in Hong Kong. The flavours of their food never fail to cheer up even the most weary of souls. 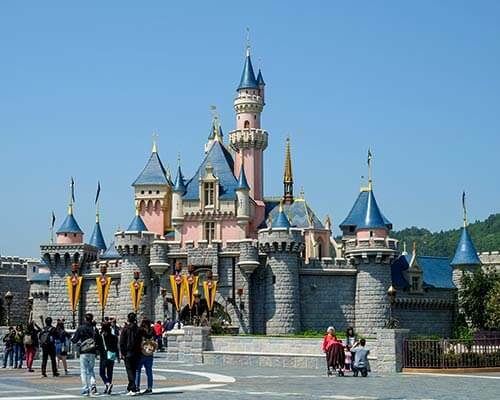 Suggested Read: Disneyland In Hong Kong: A Tailor-Made Guide To Endless Fun For Everyone! Mott 32 is one of the most awarded dim sum restaurants in Hong Kong. 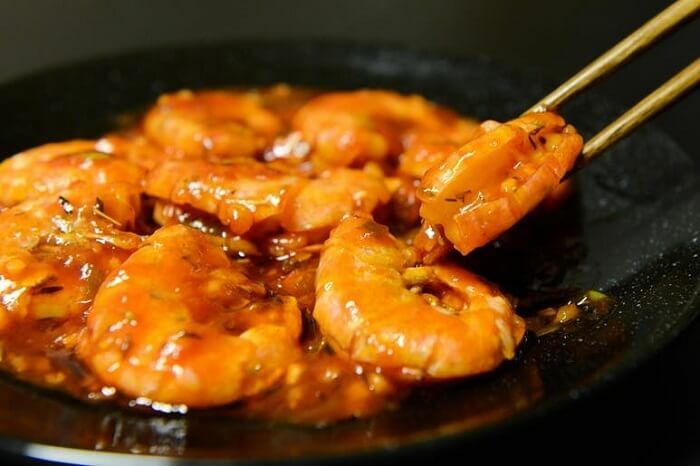 The restaurant’s cooking is chiefly Cantonese with few signature Beijing dishes and some of the best Szechuan food in central Hong Kong, bringing the most out of traditional recipes passed down from generation to generation. This particular level of modernity combined with the respect for tradition is what makes the place so spectacularly unique. There’s something about live music and tasteful decor that that makes a meal even more fun. 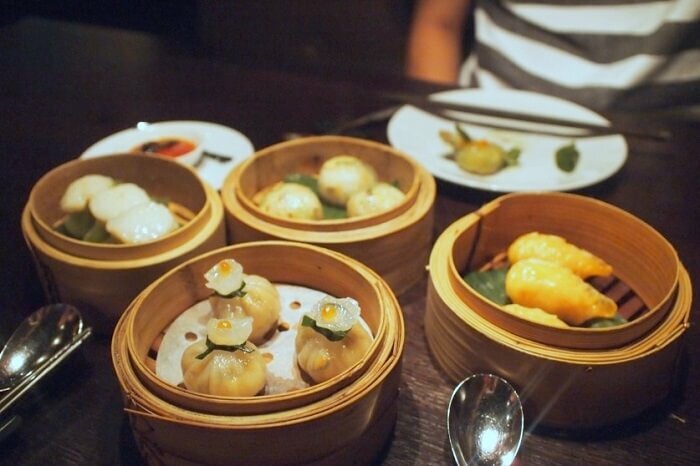 China Club is an elegant Hong Kong dim sum spot with simple, delicious fare. 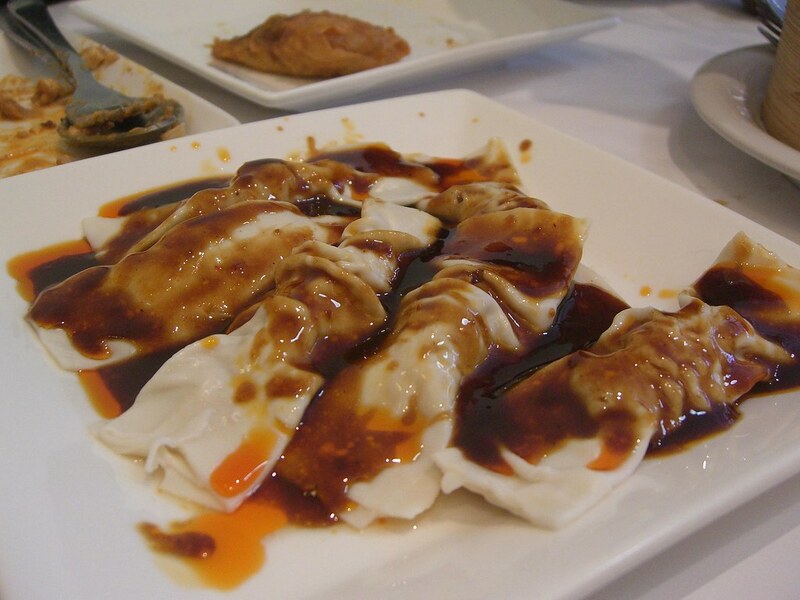 There are a great range of dim sum dishes that you can choose from to pair with their signature Jasmine tea. It’s the perfect setting for special occasions away from the hustle and bustle of the island. This is an amazing dim sum place with great ambience and lip smacking taste. The staff is hospitable and the service of the restaurant exemplary. Head here for a unique dining experience and an authentic Cantonese cuisine. 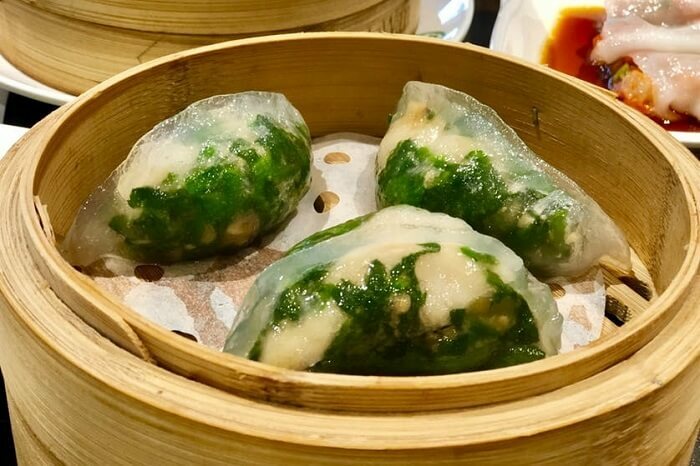 Visit the restaurant to have the best dim sum in Hong Kong 2018. 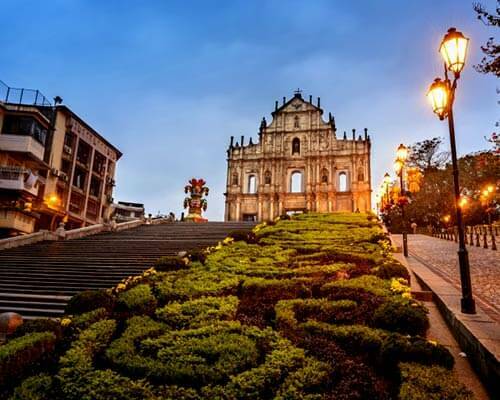 Further Read: Macau vs Hong Kong For Honeymoon: What’s Your Pick? We are obsessed with finding healthier alternatives to make your trips a guilt-free experience. 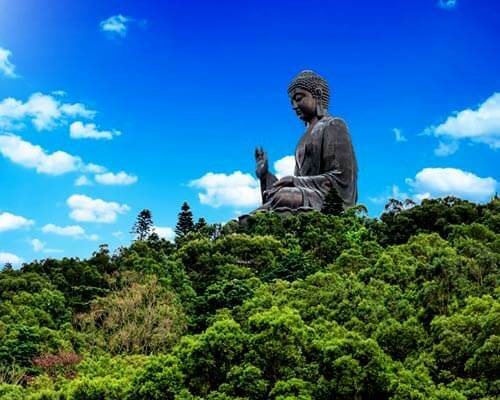 Make sure to refer to this list when you book your vacation to Hong Kong and surprise your family and friends with your expert knowledge of the best dim sum places in Hong Kong. 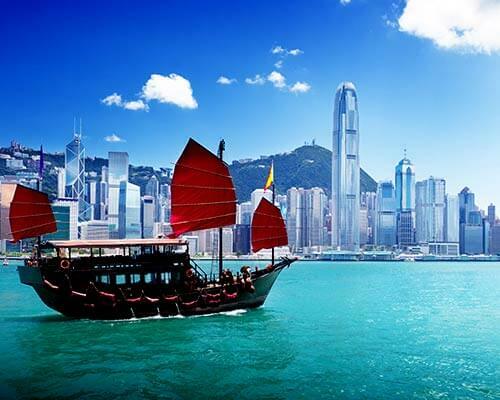 Q: Which are the cheap dim sum places in Hong Kong? 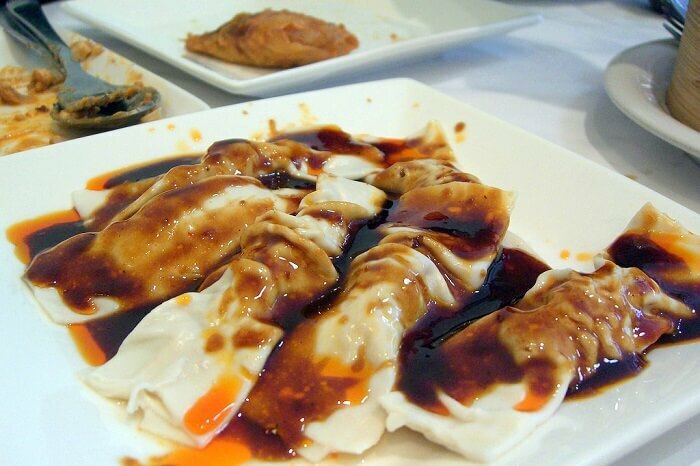 A: The cheap dim sum places in Hong Kong are Tim Ho Wan and Dim Dim Sum Wan Chai. 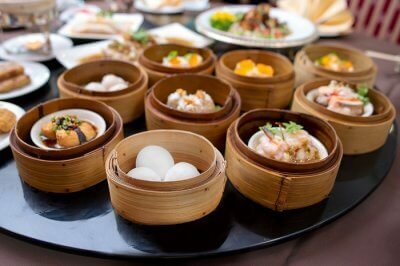 Q: Which are Michelin Star dim sum places in Hong Kong? 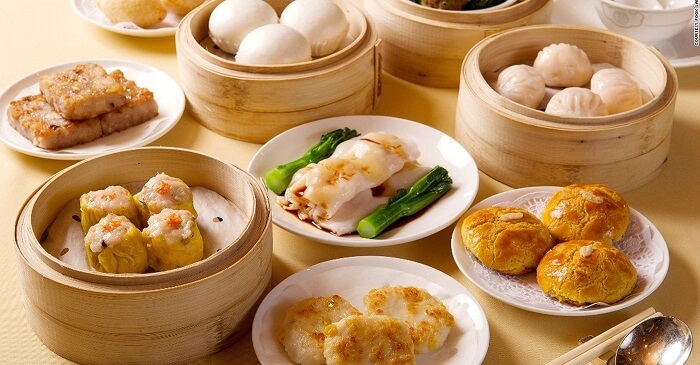 A: Shang Palace and Tin Lung Heen are Michelin Star dim sum places in Hong Kong. 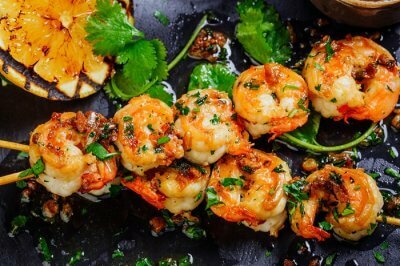 8 Best Spanish Cuisines That Will Make You Fall In Love With Spain All Over Again! 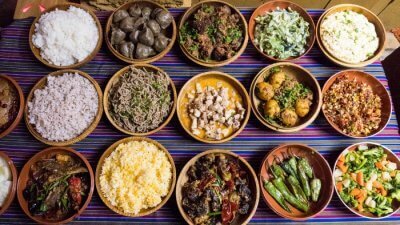 Bhutanese Food: 10 Best Dishes That Foodies Must Try In The Land Of Thunder Dragon!